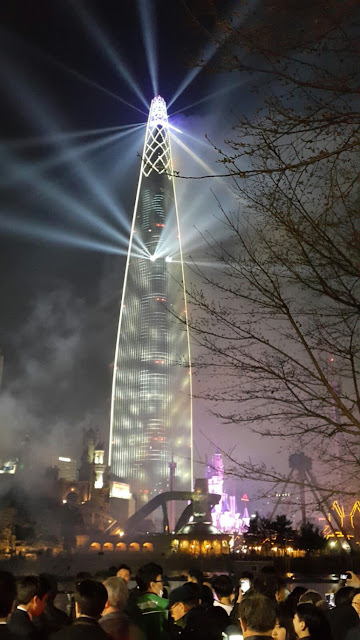 There was Lotte Tower Festival on April 2th last week at Jamsil. The celebration begins with opening ceremony with performed by Korean singer like DJ DOC and Idol groups. 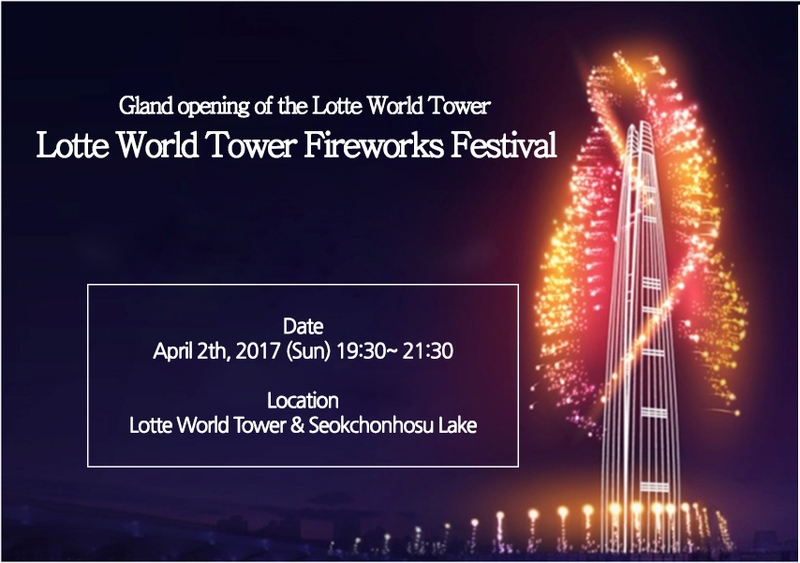 The Lotte tower celebrates the opening of Lotte world Tower that is the world’s fifth-highest building in the world. 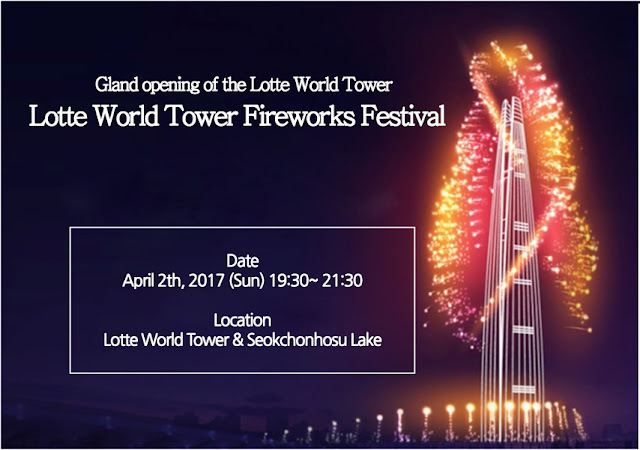 The Lotte skyscraper is the fifth tallest building in the world and they celebrated 30,000 fireworks for 11 minutes for celebration of completion of the Lotte World Tower. There were so many people to watch Fireworks at night in front of Lotte World Tower. Our Jamsil branch was close to the Lotte Tower, so my friends and I went to Lotte Tower festival to watch fireworks for only 11 minutes. It was so awesome to enjoy amazing fireworks I’ve never seen before. We spent time to enjoying fireworks. We have patients who stayed Lotte Tower and it was so close to visit our clinic. Also, Lotte World Tower has Mega- skyscraper office space, luxury residence and even hotel for foreigners. It has seven start hotels. 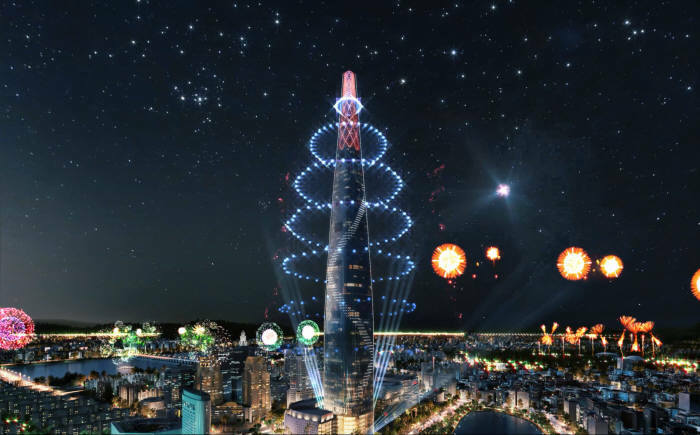 The Lotte World tower has 123 floors and 1,819 ft built in Seoul. The skyscraper has observation deck in a building. The Visitors can go to 1,640 feet with strolling onto the glass vertigo on the 85th floor. They can visit to the top in one minute. 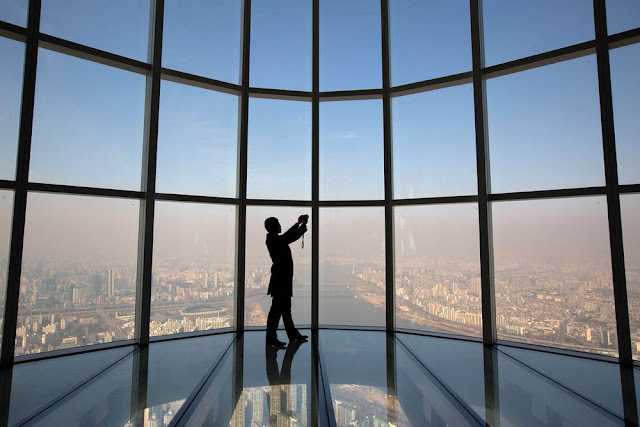 The visitor can have a bird’s eye view of the city in Jamsil, Seoul. We are close to the Lotte World Tower and located at Jamsil saenae station. 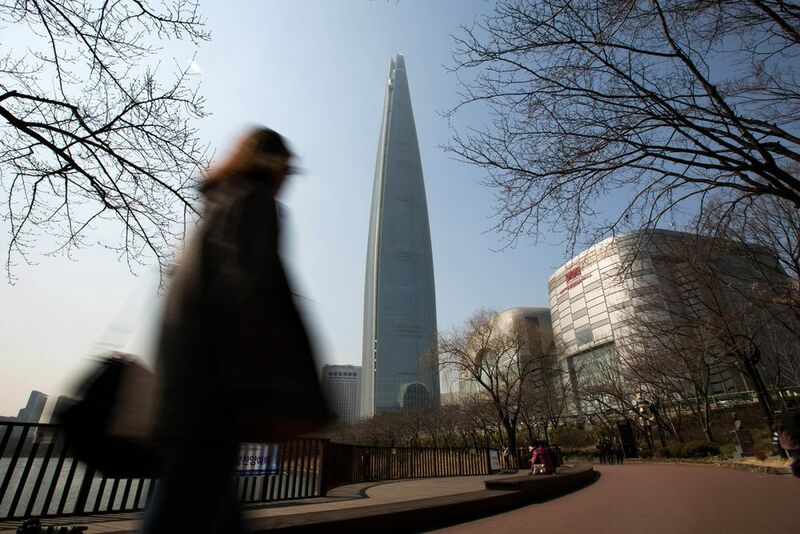 You can walk about 10 minutes from Lotte Tower. If you want to have treatment for skin diseases and care, Let us know if you are interested. We will help you for setting up an appointment. Here is the location for Jamsil Clinic. Contact us via messenger below.